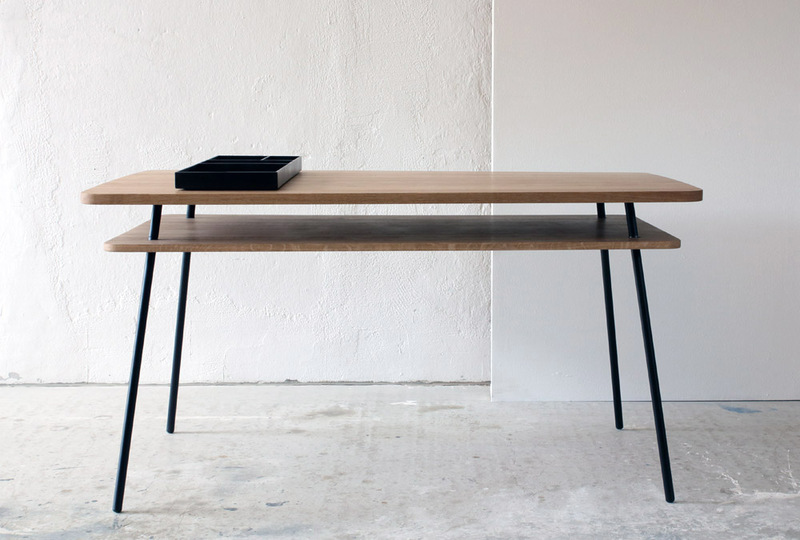 The design of the Grigor desk is derived from the vladimir: the four steel legs are screwed into their brackets for assembly without tools being required. 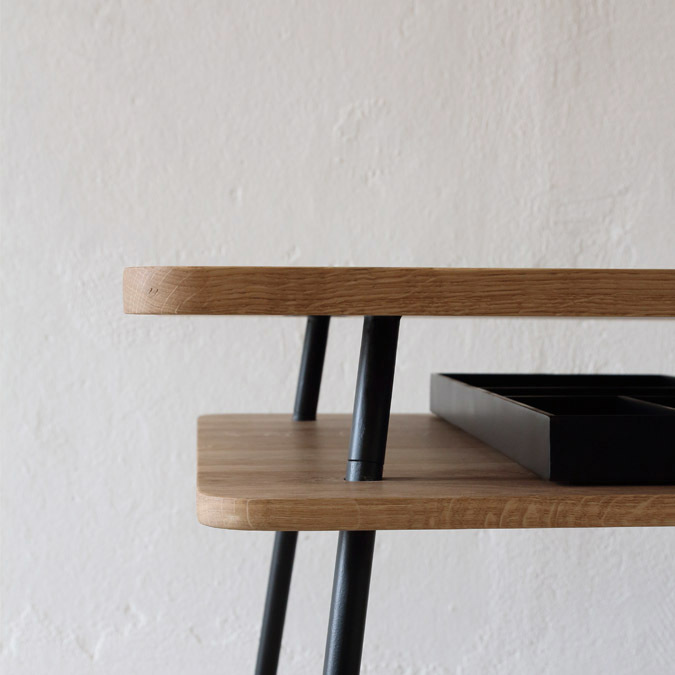 The angled position of the legs holds the wood in place for the table’s storage. A drawer element in sheet steel can be put wherever you like to create order on top of and below the desk.